Back in 2012, Karl Urban starred in the critically-acclaimed movie Dredd 3D, which was beloved by critics, and the very few fans who actually went to see the movie. The reboot posted an impressive 78% Fresh rating on Rotten Tomatoes, but it only made $13.4 million domestically and $35.6 million worldwide, from a $50 million budget. Despite the financial failure, there has been talk of a possible sequel for quite some time. As it turns out, the character may actually be eyeing a return on the small screen instead. 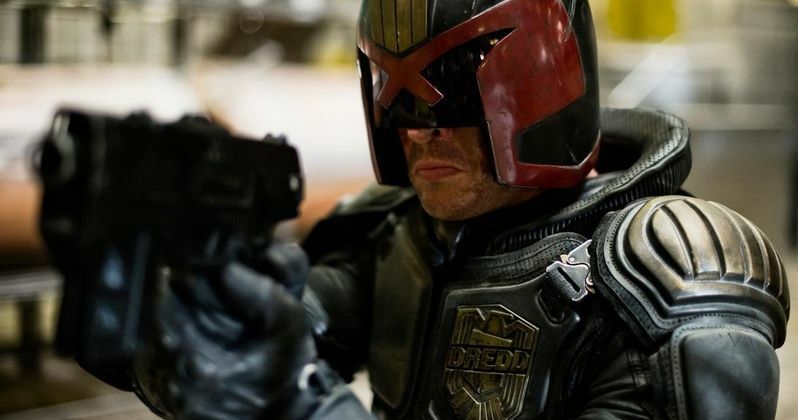 Last month, Dredd star Karl Urban hinted on his verified Twitter page that he would love to make a sequel with streaming giants such as Netflix of Amazon, teasing that there is a "gold mine of awesome Mega City 1 stories." Over the weekend, the actor appeared at the Calgary Expo, where he was asked if Dredd could continue on either Amazon or Netflix, and the actor revealed that "conversations are happening" for a Dredd TV series. While there has often been talk of a Dredd 2 moving forward, this is the first we're hearing about it becoming a TV series. We don't have a full quote from the actor, and it's possible that the Twitter user who posted the update, Christopher Edwards, was talking about a Dredd movie and not a TV series, so we'll have to wait and see. Neither Christopher Edwards or Karl Urban have offered any clarification on social media yet. Karl Urban has been pushing for a sequel ever since Dredd 3D was released, as has producer Adi Shankar, who even created an animated web series Judge Dredd: Superfiend in 2014. However, writer-director Alex Garland has remained more pessimistic about the possibility of a sequel, stating in interviews that it probably won't happen. Still, Netflix has a proven track record of bringing beloved franchises back from the dead, so anything is possible. Karl Urban will next be seen reprising his role of Bones in Star Trek Beyond, which hits theaters on July 22. The actor will most certainly be doing press for that movie, so hopefully there will be more updates for the actor to share as we get closer to that movie's release. Until then, check out the tweets about a potential TV series happening in the near future.